Heavy Duty Upper Control Arm. Jeep Wrangler (1997-2006) with 0"-6" of Lift. Jeep Cherokee (1984-2001) with 0"-6" of Lift. Jeep Comanche (1986-1992) with 0"-6" of Lift. Jeep Grand Cherokee (1993-1998) with 0"-6" of Lift. 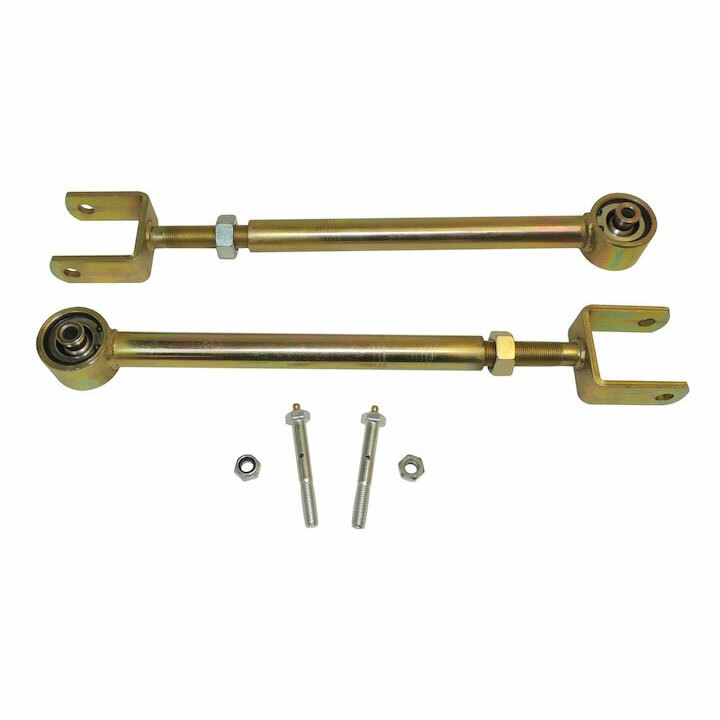 Kit Includes: 2 Control Arms and greasable bolts for flex end. 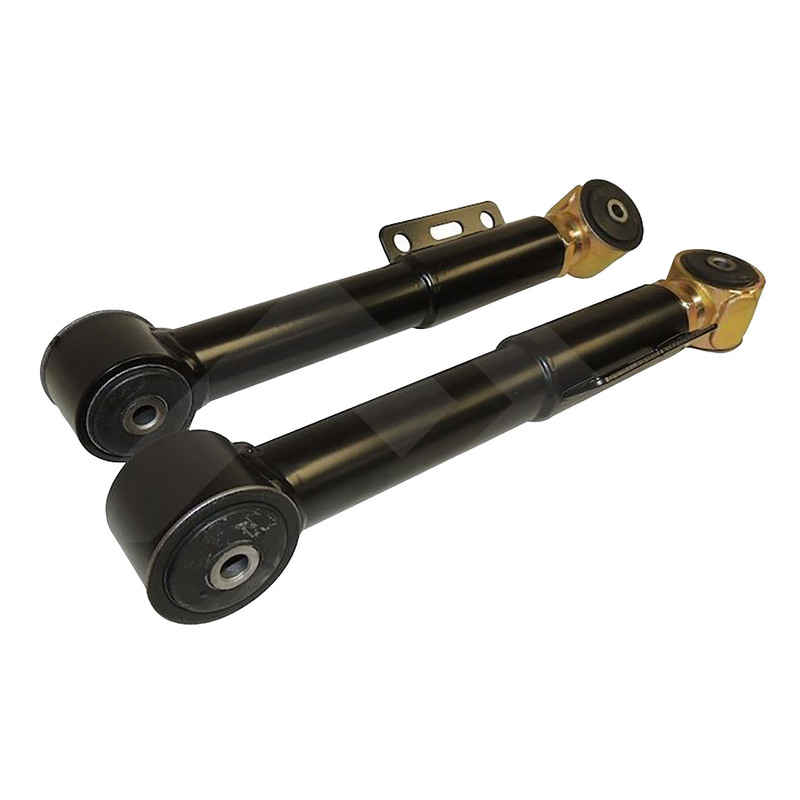 Improve your Jeep drivability with a set of RT Off-Road's Heavy Duty Front Upper Control Arm Set. A flex end is utilized to improve the articulation and relieve suspension binding while maintaining a smooth, comfortable ride. The adjustability of these control arms will allow the caster and pinion to be tuned to factory specifications. Each kit includes a pair of fully assembled, zinc plated control arms with a pair of greasable bolts for the flex end of the control arm.